Ornaments are the most important and useful things for the Christmas decoration, especially for the Christmas tree decoration. They can also be used at so many other places like wreath decoration, tree decoration and much more. It’s always tough to purchase the ornaments from the store because they will cost lots of money. As Christmas is a big festival and everyone to get a long vacation. So why not make the Christmas ornaments by yourself. Do it yourself will save your money and it will also allow you to spend some quality time with your family and friends. You can also involve your kids while making the ornaments. DIY Christmas Ornaments are not only useful for the decoration, you can also use them as a Christmas gift to your family and neighbors. There are thousands of Christmas ornament ideas which you can choose. But it’s always a tough task to find the perfect one which has step by step direction and required materials. So if you are looking for a kind of DIY Christmas Ornaments ideas with complete direction or tutorial. Then you are at right place. A DIY Projects spends lots of time over the internet and make a beautiful collection of 100 Christmas Ornaments Ideas which You Can Do it Yourself. Each and every DIY Christmas Ornaments craft listed in this list have a complete direction. So if you like any ornament idea and wanted to know how you can make it by yourself. Just follow the direction at the end of each description. Feel free to share these Christmas ornaments ideas with your family member, neighbors and friends. You can also share these ideas on your social profile. Don’t waste much time in reading, scroll down below and choose the best one for this Christmas. Enjoy! These unicorn ornaments shown in the below picture can give a beautiful look to your Christmas decoration. You need Clear glass ornaments, Glitter Glue, Gold & Silver Glitter, Black & Gold Acrylic Paint, tip paint brush, Magic Clay and Gorilla Glue to make these unicorn ornaments. To learn a complete direction follow the tutorial. There is anyone who doesn’t love pizza? especially the cheesy pizza. Everyone loves to eat it, so if you are a fan of pizza. Then you will definitely love the Pizza ornament idea shown in the below picture. Well, if you like this idea, then you will definitely love to learn a complete direction of this DIY. So before you follow the direction get ready with the required material. To make these ornaments you need clay, acrylic paint, paintbrush, knife, wax paper, baking tray, rolling pin and high gloss sealer. Get ready with these materials and follow the tutorial. During the festival peoples have very busy schedule and they don’t get enough time for the decoration. As Ornaments are the most important part of the Christmas decoration and no one want to skip it. In that situation, it’s always a good choice to choose a kind of craft idea which can be done in quick time. The Scented wood ornaments idea shown in the below picture is really simple to make and can be finish in very quick time. To learn a complete direction of this craft, get the tutorial. We use Jingle bell in so many decorations, especially for the Christmas decoration. There are so many places where you can use the Jingle bell to give a beautiful look to your decoration. But if you want to make something unique for this Christmas then you will definitely love to have these beautiful Gingle star ornaments. They are really simple to make and you can finish them in very quick time. Follow the tutorial to learn a step by step direction. If you are looking for a kind of Christmas ornaments ideas which can be done by your kids. 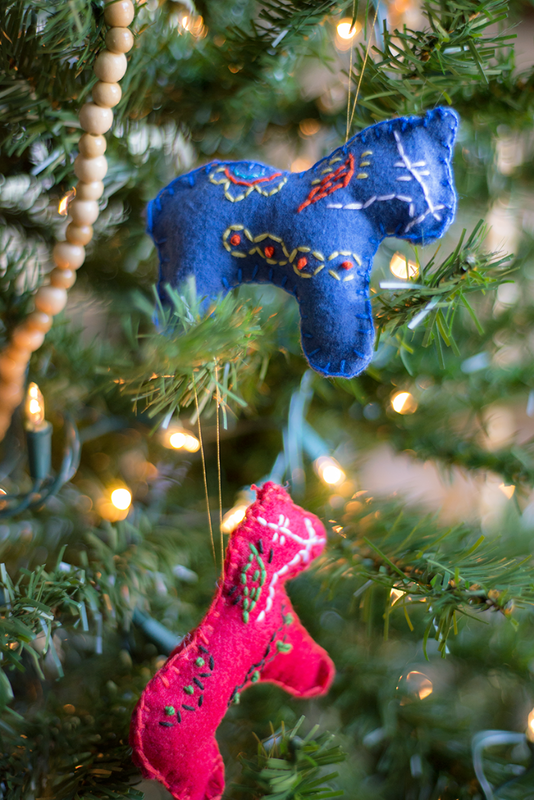 Then these Jar lid reindeer ornaments can be a perfect choice for them. All age kids will love to make them because they are really simple and will not take much time. Collect some jar lids and jingle bell to make these ornaments. Your kids can easily make these ears and eyes after following the below picture. To teach them a complete direction of this DIY craft, you will definitely love to follow the tutorial.